After clicking on the picture and getting forwarded to the Anthropologie site and seeing that said cookie jar was $88...that "had to have" turned into "would be nice to have". Nevertheless, it started some crazy owl obsession within me. I mean, how cute are they? Turns out, that owls are like the new Hello Kitty or something. They're EVERYWHERE. 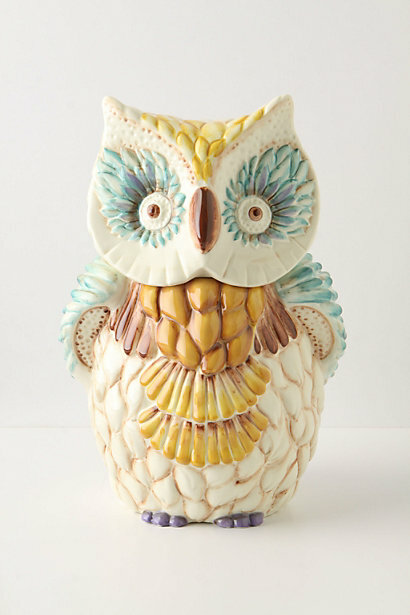 You can find owl stuff on Etsy, Ebay, Amazon--name it. Keep in mind now, that anything that even remotely resembles an owl now has been marked up in price. I mean seriously ONE owl coffee mug for 15 bucks. You've gotta be kidding me. I didn't know there was an owl revolution afoot. Last month I bought an owl ring from Charming Charlie's, not because of its shape, but because it was the most sparkly bauble in the store. I absolutely adore it. 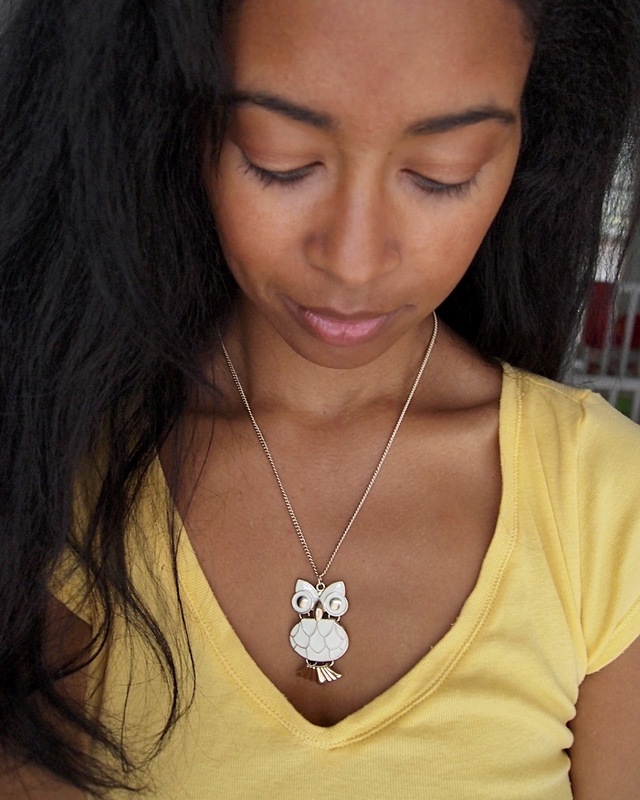 I'm loving the owls...I think I have an owl necklace in my collection somewhere..
Hey, how did you join Pinterest because you have me interested in this site now...I keep hearing about their waiting list though. Didn't know owls were so popular. I like elephants myself. Cute top and necklace. Ellegant Elle--send me your email and I'll send you an invite. Not sure how long it takes for you to be able to join tho. Really love the look in the first pic!